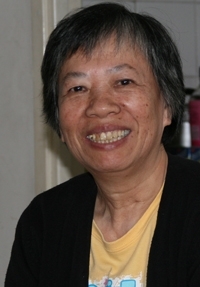 Sixty-two year-old Grandma Lo lives in a public housing estate. Once, Grandma suffered a fall. Her knee also began to degenerate. The doctors recommended surgery. Grandma Lo needed a walking stick to help her get around. She did not have one. So she used a broken broom handle as a substitute. One day last year, Grandma Lo “hobbled” her way to the shopping arcade near her home. She was then invited by a HOPE worldwide volunteer to do a fall risk assessment. It was confirmed that she was a high risk case. We arranged follow-up services. We helped Grandma Lo install a handrail in her bathroom and gave her a proper walking aid. A therapist also came to teach her some simple exercises to strengthen her muscles. Now Grandma Lo can walk around her neighbourhood, even without the aid of a walking stick. The right attitude makes all the difference! Second-grader Jimmy lives with an ageing grandmother. His parents live and work on the Mainland. When Jimmy came to our centre for homework tutorial, he was pretty much on the bottom of the class. His foundation was so poor that he did not know the simplest of Chinese vocabulary and phrases. He scored all of 3 points on his first dictation test. You can imagine Jimmy’s discouragement and therefore the lack of motivation to learn. But after a few months of studying along with all the other kids at the centre, Jimmy’s attitude suddenly changed. He initiated with our staff to help him review for his Chinese dictation test. Our staff Virginia was more than happy to work with him. They reviewed the material again and again. The day of the dictation test came and Jimmy got…sick and missed the test! We were concerned that he would be feel he had put in all the effort for nothing and so would decide to give up. But he kept asking for help. At the next Chinese dictation test, Jimmy got…75 out of 100! All the kids in the tutorial class applauded when he told the news! Now Jimmy is much more confident. He understands that when you put in the effort, you will reap encouraging results! Guo Jia-you is a quiet young man with eyes too serious for someone his age. He graduated from the Yunnan Vocational College of National Defense Industry in 2010. Now he is working full time in the city of Kunming in Yunnan Province. Jia-you’s life has gone on a totally different path from the friends he grew up with in Yuan Yang County, Yunnan Province. “They all stopped studying when we were in primary school. Everyone was too poor.” Jia-you is lucky. Though the family is very poor, he has an older brother who believes in education and insists that he stays in school. At one point before finishing high school, Jia-you wanted to quit because he felt so burdened by what his family had to go through in order for him to get an education. Luckily, that was when HOPE worldwide’s Student Sponsorship Programme came to his high school. Jia-you applied and received a sponsorship. Jia-you’s diligence earned him a place in one of the universities in Kunming. However, his happiness was short-lived. How was he going to pay for the annual RMB$5,000 tuition fee? Then he remembered the people who helped him finish his high school education. He called us. 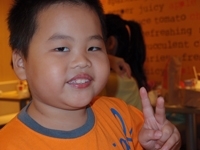 We sponsored Jia-you’s living expense, while helping him apply for tuition subsidy from the school. He received his university degree four years later. If it weren’t for generous sponsors, we could not have been able to help Jia-you. 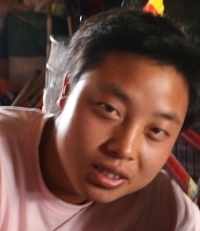 We would have lost a diligent young man to the mines in some remote mountains in Yunnan.